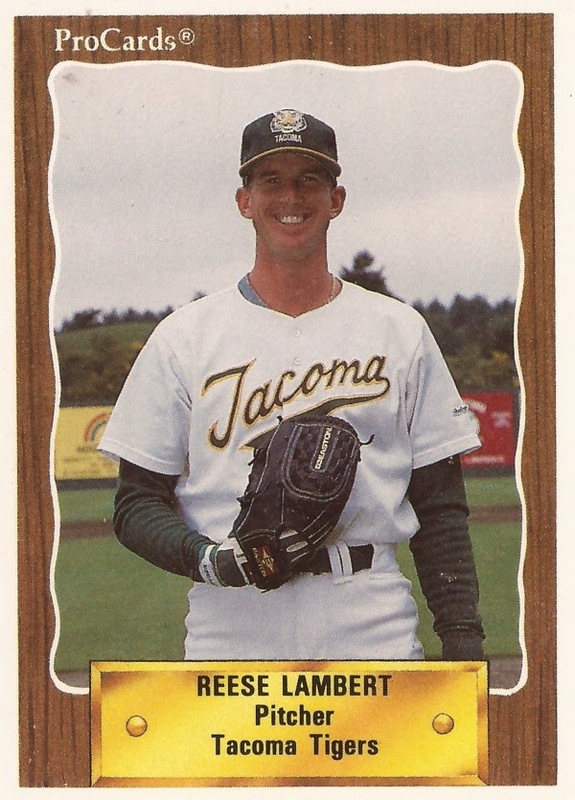 Reese Lambert was on his way to AAA Tacoma in July 1989. But he didn't leave AA Huntsville before pitching two scoreless innings against Ron Gardenhire's Orlando Twins. The Athletics organization reliever gave up only one hit in those two innings, helping his Huntsville Stars to a 7-6 win, The Orlando Sentinel wrote. While Lambert moved up to AAA that July, in a career that spanned eight professional seasons, Lambert would never move up further to the majors. Lambert's career began in 1985, taken by the Athletics in the 29th round of the draft, out of Oklahoma State. Lambert was coming off a season with the Cowboys where he was 4-1 with a 4.87 ERA by the College World Series. He played his first season with the Oakland system at rookie-league Pocatello. Lambert went 4-7 with a 4.67 ERA. Lambert first made AA in 1987, playing 13 games there with an ERA of 5.61. He played again at Huntsville that season in 1989 after playing the whole of 1988 at AAA Tacoma. Used exclusively at Tacoma as a reliever, the left-hander had an ERA of 4.73. Bumped back to Tacoma in 1989, got into 36 games on the season, but had a similar ERA of 4.71. Invited to spring training in 1990, Lambert gave up a three-run home run to Edgar Martinez in one game. He started 1990 back at Tacoma, but was worse. He posted a 5.85 ERA in 31 appearances. He finished out the season with the Indians at AAA Colorado Springs. Eleven more games each with the Padres at AAA Las Vegas in 1991 and the Royals at AAA Omaha in 1992 and Lambert was done, short of the majors.